Our product is a proprietary memorizing learning method. Amazing Brain is a technique proven to enable you to unleash the often-unexplored part of your brain and to optimize the functions of the brain. Brain development program are multi dimensional and designed to support children’s mental abilities, enabling them to survive and thrive on their later years. Attending development programmes, ensures the child not only mental health but also intellectual curiosity, social, confidence and a solid foundation for lifelong learning. What Is Mid-Brain Activation ? The workshop usually called “Mid brain Activation” or “Brain activation”. 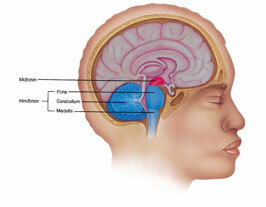 “Midbrain” is a term which has main qbjective to balance right-left brain. * In fact,midbrain activatio activates the whole brain parts. * The training uses some methods to make children enthusiastic and happy,so that they can maximize all brain parts. * Our unique and effective midbrain activation training,we use advanced brain wave frequencey in the joy of music and stress-free environment to develop the mid,left and right brain. * Children under 5 to 14 years can attend our two days-long fun training course.One they activate their midbrain,they activate their midbrain,they become smarter then before. According to the scientist’s reviews, man only incorporates less than 10% of his brain capacity. This shows how awesome a human can be, if it’s utilized more. MidBrain acts like a communication bridge connecting Left Brain and Right Brain. MidBrain must be activated and fully functional to balance the usage of left brain and right brain. Once MidBrain is activated, left brain and right brain can communicate. The science behind this concept of MidBrain Activation is the technique of optimizing the function of our middle brain, which is the Bridge between the left and right brain. Having this bridge activated allows for the retrieval of information between the left and the right brain, which leads to more efficiency in learning and absorbing information. It also brings out and strengthens characteristics such as creativity, memory, application skills, self-confidence and the ability to concentrate. MidBrain activation training adaption age is 5 to 15 year because in this age it is easier to absorb new things and also it is easy to adapt to new ways of learning. Regardless of the current academic standards of the child, the MidBrain activation will further strengthen and improve their ability. If children can use their whole brain, this will help them to obtain higher success in their future. The children can apply concentrated force send out the brain wave. They can be blindfolded and will be able to see the object, they can be perspective, they also can greatly enhance their ability to learn and improve their personality. Training brain of a child to learn new things, whether academically, in sports or other extracurricular activities sounds simple enough. And it can be that simple with the revolutionary new technique of MidBrain Activation.